There is no deposit payable for students at Seabraes. Single rooms are brilliant value and are fully furnished with a single bed and ensuite bathroom. 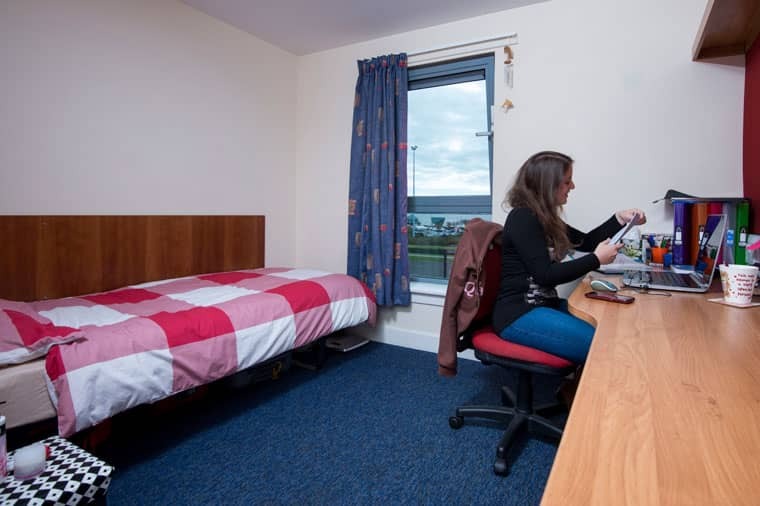 Sanctuary Students Seabraes Flats are situated near to the River Tay and the main Dundee University campus. A short 10 minute walk into town gives students plenty of entertainment with a host of bars and restaurants to check out. The ensuite rooms are arranged in flats of six or seven bedrooms, with a well equipped kitchen and lounge area. Both double and single beds are available. The site also features a common room and a bike store available to all Seabraes residents. Living at Seabraes gives students a great base to get out and see the best of Dundee. It's just a 10 minute walk to the city centre where you can find shopping centres and a large range of smaller shops. Being so close to the centre also means that you can take your pick from all sorts of local pubs, restaurants and cafés. It only takes five minutes to walk to the main University campus where there is also a sports complex and swimming pool for students to enjoy. You will also be within reach of a range of transport links. 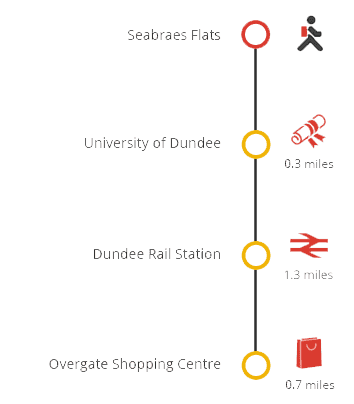 Train and bus stations are only a short walk away, and there are also a number of local bus stops nearby to help you get around the city. The moving day information for Seabraes Flats can be found on the University of Dundee website. If you need free legal advice, please contact Citizens Advice. Limited on-site parking is available to permit holders. Permits are sold on a first come, first served basis and are available from Sanctuary Students on: 01382 383111 (please contact this number for terms, conditions and pricing information). Please note that there is no parking available to guests and visitors.